Maths practice for Kindergarten 1, Kindergarten 2, Primary 1 and Primary 2. The early years of school are very important to the development of your children. Providing them with access to learning materials and aids is increasingly important. This application has been designed for the iPad, iPhone and iPod Touch with that goal as the core of its design. 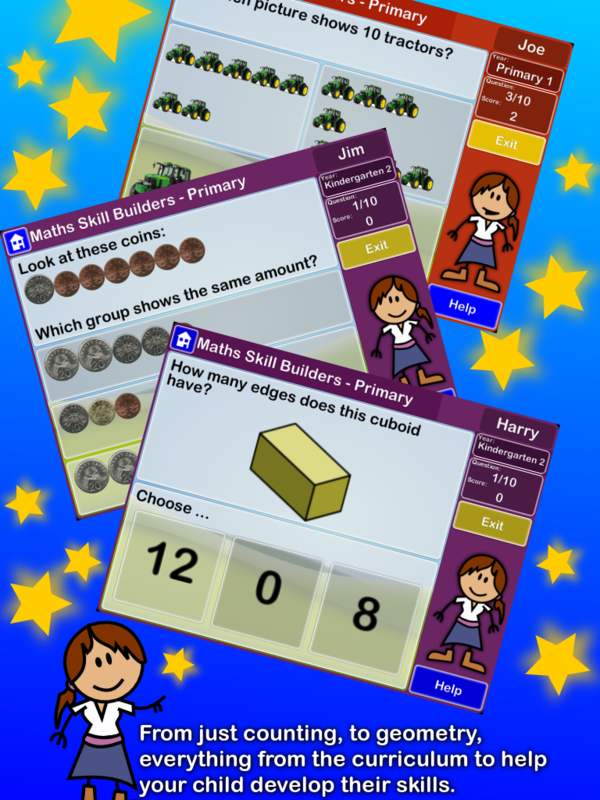 Your children will have access to mathematic skills practice questions and problems whether at home or on the go, to help them build their skills. All questions are dynamically generated and many adapt to your child's development; yielding billions of possible questions. 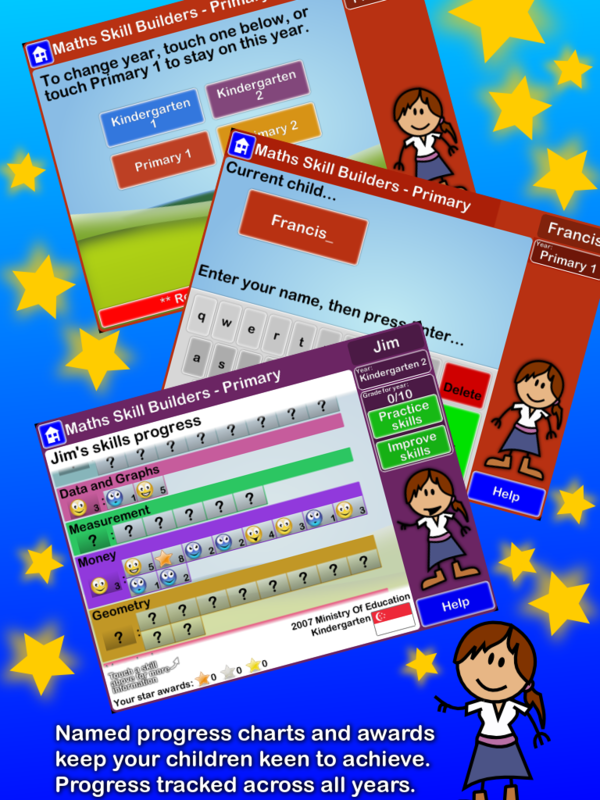 The application contains progress charts, which will help build their confidence in a friendly way, and encourages them to achieve their highest potential. The skill builders have been developed to align with the national curriculum of Singapore. Supporting children in the early years, working towards the 2007 Ministry of Education Standard with skill builders for Kindergarten 1, Kindergarten 2, Primary 1 and Primary 2.